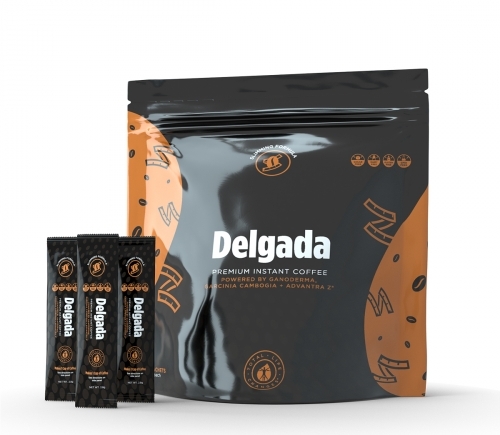 Café Delgada is a premium Arabica instant coffee powered with the natural strength of the Ganoderma Lucidum mushroom, also known as the Red Reishi mushroom sourced from aged wild plum trees in Asia. Now with more taste and less waste, Delgada provides the body with key nutrients and, with consistent use, may help you look and feel slimmer. One pouch of Café Delgada Coffee contains 28 sachets, each weighing 2.8 g.
Café Latin Style is a premium gourmet coffee. It is blended with non-dairy creamer and a distinctive caramel flavor. Café Latin Style is now formulated with USDA 100%-organic chaga extract. The chaga mushroom is one of the densest sources of nutrients found within any food source, worldwide. Known by the Siberians as the “Gift from God” and the “Mushroom of Immortality”, this vibrant growth has been used by humans to support health for thousands of years. The health benefits are being vigorously tested around the world. 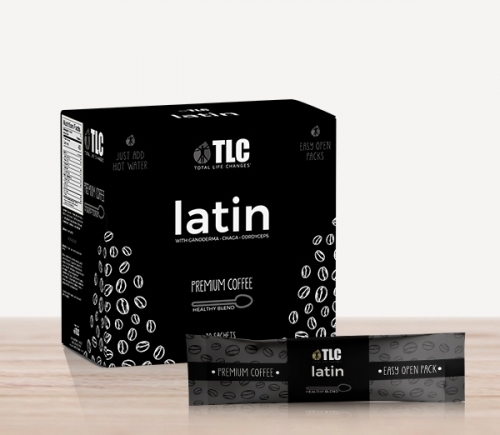 One box of Latin Style Coffee contains 20 sachets, each weighing 25gm.